Some aviary plants are free. Adding plants to your cockatiel aviary makes it look more natural and attractive, and gives your birds some interesting new objects to play with. Several different types of plant are suitable for your feathered friends' various activities, but be wary of introducing any poisonous plants. Shrubs provide somewhere for your cockatiel to perch and something for him to chew. If your aviary is outdoors, they also can offer shade and protection from strong winds. Olive, bamboo, dogwood, rose, cotoneaster firethorn and willow all are safe for cockatiels. You can increase the shrubs' lifespan by growing them in containers, which allows you to take them out of the aviary from time to time to recover from your birds' attentions. Cockatiels chew and eat plants in their aviary, so they especially appreciate plants and fruit that tastes good. Thyme, rosemary and oregano all are tough, woody herbs that are easy to grow. Parsley is poisonous to cockatiels. Many fruits are safe, such as raspberry, plum, apple, peach and pear. We don't usually eat crabapple and elderberry, but your cockatiels will love them. Climbing plants twine around aviary bars and provide an interesting jungle gym to exercise your cockatiels. There are two types of ivy that are suitable: grape and Swedish. All other kinds are poisonous. Climbing roses, creeping fig, grapevine, nasturtium and honeysuckle also work well and are completely safe. One advantage of growing climbing plants in an outdoor aviary is that some parts of the plant can grow outside and be less subject to damage. You don't have to go to your local plant nursery to find plants for your cockatiel aviary. Many suitable plants already may be growing in your home garden. 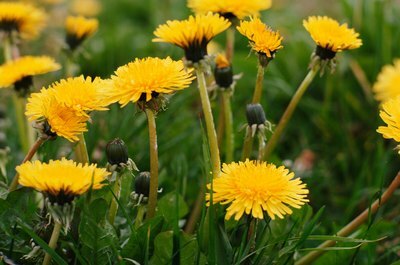 Dandelion, chickweed, comfrey, thistle and white clover are some examples of weeds that are safe to introduce to your aviary, either as cut plants or transplanted in the earth. Weeds have the advantage that they are very tough, and take longer than average to kill. Is Amaryllis Toxic to Cats? Is White Birch Toxic to Cats? Which House Plants Do Well in Aquariums?